Love of country is an exceptional feeling. We all feel blessed for having a land of our own. We celebrate this independence, explode fireworks and so on. There are countless sacrifices of our ancestors behind it. What we all need is to be thankful for having an independent land and value its worth. We all have a patriot in ourselves, just keep it awake. Here we have some love of country quotes to not only inspire you but to let you know the value of independence. They accepted death to set you free. No other land but our own country offers the highest good. Believe in the equality of rights for countrymen. 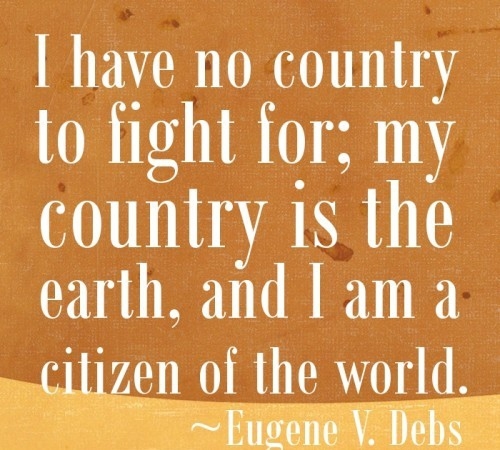 We all are the citizens of the world. Fighting for country and its rights is a noble deed. Loving your home means you love your homeland. Unity brings peace and harmony. Loyalty to country, no matter what. Modern war is not for the love of country. Don't let the selfish men govern you. Choose the right path for your country. People who love their country, can change it. Let your country be proud of you. Love of country is a splendid thing. Residing in a foreign country, will make you understand the worth of your land. Strive to make your country best. Love your country because it's your own. It's special because you were born here. Their sacrifices must not be forgotten. Learn to love your country, these love of country quotes may help.